I would like to pick your brain a little bit about some “potential” improvement on my existing system. Not that I am an not happy with the set-up but I’m thinking about what can potentially improve it. What are your thoughts on NOT connecting Roon Core to the amplifier directly, but adding a high quality streamer in between? 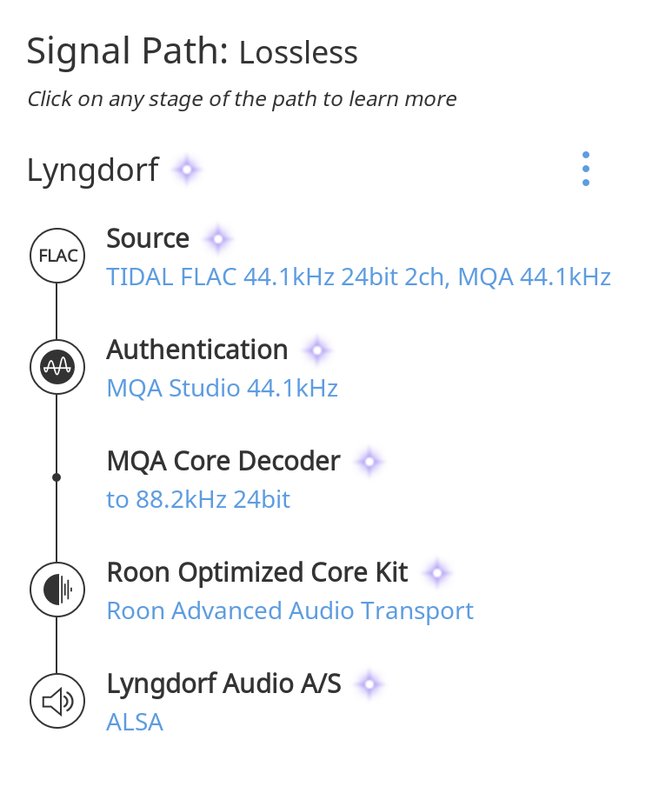 In other words, Roon Core would transport to the streamer which is directly connected to Lyngdorf. Number 1 amounts to number 2. A micro/ultraRendu is a streamer. You can read the reviews to see what the impact may be. A lot depends on how good the USB input is on your DAC. If is really good then a simple Pi style SBC will be enough but if it isn’t then a USBridge should work. But for a stable mature solution with first rate support and performance the UltraRendu is expensive but effective. I have an old 1.3 hw revision microRendu and it does a decent enough job and didn’t cost the earth. But potentially the best solution of all is a network DAC. However there are relatively few that are Roon Ready but that seems to be improving almost daily. But potentially the best solution of all is a network DAC. No USB there, but then I only use PCM up to 24/192, no DSD or MQA. However, the quality of USB audio receivers in quality DACs is improving, so I could see myself going USB with relatively cheap sources when that arrives to DACs I’m interested in. I have a suggestion, which is a variation of 2 - use a Roon Ready or RoonBridge streamer with coaxial output (from our company or other manufacturers) to your Lyngdorf. 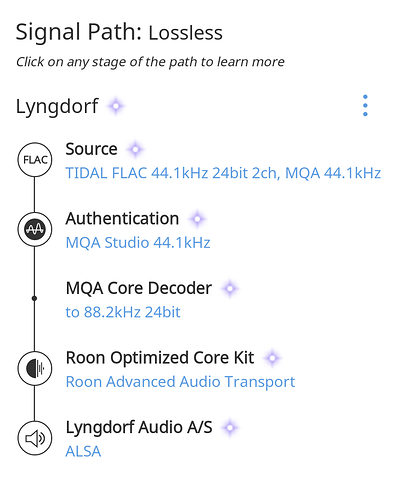 You should also experiment with Roon DSP to re-sample everything to 96kHz and see if it sounds better this way, regardless of what you have between the Roon Core and the Lyngdorf. This strange recommendation comes from what I believe how Lyngdorf works internally. Generally speaking, to actually improve something, you need to have some metric which you are going to change in an “improvement” direction. This can be something simple like “less clicking” (where the metric is clicks per minute, and the improvement direction is down (fewer clicks)), or something harder to measure like “lower noise floor” (which usually takes technical equipment to measure). So I’d recommend thinking about what your improvement metric is, first. You could stop doubting your setup and simply continue enjoying the music. It’s not that i doubt the set-up. But i believe there is always room for improvement. Excellent points, I also like to do measurable and achievable improvements. But here I am not dealing with known unknowns. But with unknown unknowns. But i believe there is always room for improvement. There always is like with everything else in life. In the end do whatever gives you real happiness. @Selcuk_Kalyoncu, from your story I conclude that you have not installed the USB-module in your TDAi-2170. Why? I think installing a USB module is the best solution because there is no digital->analog->digital conversion necessary. With the USB-module the signal path is fully digital. @Selcuk_Kalyoncu, it is not fully clear to me. Why do you use the iFi Audio Micro USB? Is it not possible to stream music digitally directly from a Intel-NUC-USB-port to the USB-Lyngdorf-port? It’s possible. But I don’t trust the USB output of the NUC. Hence I have iUSB in between which regenerates (reclocks etc) the signal. If I where you, I should give it a try to connect your NUC-USB direct to the Lyngdorf-USB. I suspect that the Lyngdorf also reclocks the USB signal. USB audio is an asynchronous protocol, so any USB audio receiver has to generate the sample clock for the received bits. Unless a USB audio transmitter is so bad that it is not bit perfect (unusual these days), reclocking its output before sending to the USB receiver is useless. There are other reasons to consider regenerating the USB signal, mainly to do with analog electrical interference from the USB source to the USB receiver that might affect DAC operation, but clock quality is not one. How does reclocking work? Does it take an input signal and output at its highest indicated accuracy and precision? Or does it improve the input by, as an example, a factor of ten meaning the better the input signal the better its results up to its best rated performance? We don’t make these products, but my understanding is that the market leading USB cleaning products perform galvanic isolation with the input signal, then it goes through its own USB hub chip with a very good clock, then outputs the signal. As always, disbelievers claim such products could not possibly make an improvement to any decent DAC, yet many users claim to hear improvement. I remember reading its manufacturer claiming they have $90000 DAC users reporting positive improvement. If I spent $90,000 on a DAC and realised that the manufacturer had neglected to galvanically isolate the input resulting in it suffering from induced noise I would be very dissapointed indeed! You’d think for $90,000 the DAC would incorporate its own “USB cleaning product”. Anyway… I’m neither rich or daft enough to spend that kind of money on a DAC so I’ll never know what “improvements” can be made by such purchases. First of all, thanks a lot for taking the time and providing input to the discussion, I do appreciate it.